One key to running a fast auction checkout process is to collect credit card information as guests arrive. A long line at checkout is virtually guaranteed if a nonprofit decides to wait until the end of the event to collect a guest’s credit card information. Instead, the secret to smooth auction checkout to swipe the credit card at the registration desk. However, some Gala Chairs have found it hard to convince guests to hand over their credit cards upon arrival. I disagree. I’ve stood behind dozens of volunteers working registration and have identified the problem. The reason your guests refuse to share a credit card at the registration desk is because the volunteer greeting the guest hasn’t been properly trained to say the magic words. The majority of your guests will swipe their credit cards upon arrival when you confidently greet your guest with the approach I share in today’s video. You’re on your way to delivering a fast auction checkout once you incorporate these techniques. At Streamline Support our best practice is to train the check in staff to say “What credit card will you be using tonight/auction etc?” This way it’s not a question, giving the guest to opt out. Of course, if they choose to opt out, remind them they can always come back and swipe (or pay by other means) later! Same outcome, but slightly different words — love it! Greeters need to have the confidence to expect that they will get a credit card from the guest. How and what the greeter says in her/his opening sentence controls that brief interaction to either ensure a credit card will be offered, or the guest will slip through without handing one over. But it’s worth extending the script a bit – the most common follow-up question I’ve had from a guest is: “what will happen if I don’t buy anything?” Your greeters need to be prepared for this, and know the policies that the org has set – how soon the card numbers get deleted from the system that is storing them, primarily. 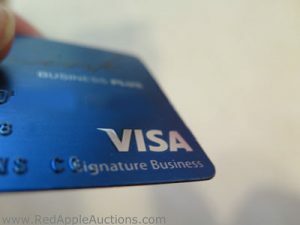 Generally, the answer “If you don’t buy anything, we won’t charge your card at all” works pretty well; being able to add that “all card numbers will be deleted within three days of the auction, as soon as we have processed any late sales and post-event donations” helps a lot. Excellent advice as well. Thanks for the additional script, Roger! HELP!!! I have been place in charge of check in and out. I have never done this before. We are using a very user friendly auction software but I need assistance with specific check-in/check out procedures. Do I assign bid number before/after, etc…..ANY help you can provide would be greatly appreciated! Lorene, I fear I overlooked your comment and am only now getting back to you. Hope it went well! Lorene, I didn’t see your comment until today. I hope the event went well. Keep your eyes on a product I will re-introduced later this year. It’s on check-in and check-out procedures and addresses what you’re seeking.